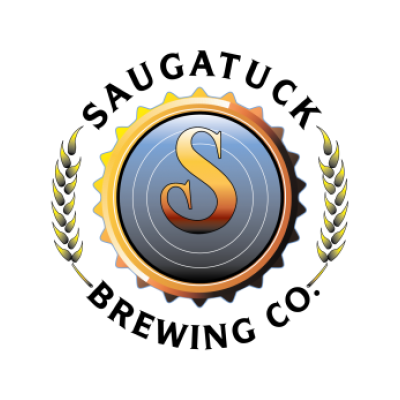 Saugatuck Brewing Company | Craft Beer Importers Canada Inc. In late 2004, a three-phase microbrewery development plan was contemplated by founder and original brewmaster Barry Johnson. And alas, Saugatuck Brewing Company (SBC) was conceived. Beginning on June 23, 2005 a small, intimate, start up brewery utilizing only a small 3.5 barrel “Brew-On Premise” system was created. Multiple expansions later, SBC now utilizes a state of the art 45 barrel brew system which is paired with 480 barrels of fermentation space. With a newly installed rotary bottle filling/labeling conveyer system and a fleet of nearly 4,000 kegs; SBC now employs 9 full time brewer/cellarmen and distributes throughout Michigan, Illinois, norther Ohio, northern Indiana and Minnesota plus several foreign markets. The company projects production of over 6,500 barrels for 2014. The growth will continue… beginning with the arrival of a new 120 barrel fermenter and 120 barrel brite tank in Spring of 2015. Although SBC plans on continuing to expand into additional states and countries, we will always remember that Michigan is our home and we are proud of our roots and all of the people who have supported us along the way.